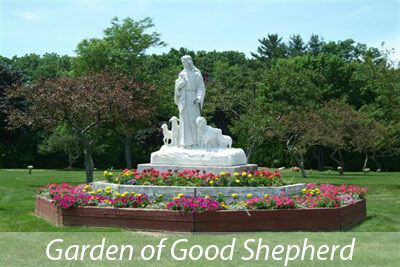 The Garden of Good Shepherd was the second section of the Park to be created at Worcester County Memorial Park. It contains a statue of The Good Shepherd standing watchfully with his lambs atop two landscaped tiers adorned with flowers. 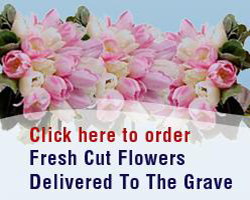 Visitors often comment on the uncomplicated beauty of the row of hedges and flowering trees running through the center strip of this lovely garden, the age of which lends it an extra degree of grace and dignity.